Top 5 strategies to plan your Social Media Marketing: As we all know Social Media is a cost-effective solution for any Brand, Business or a company to bring new customers or visitors. But if you’re new to this kind of strategies, then probably you need some expert advice or have an experienced team to make a proper plan for Social Media Marketing focusing on how to bring new customers or how to engaged with new customers. Social Media platforms like Instagram, Twitter, and Facebook have billions of users from all across the globe and we can easily connect with a target audience. But it doesn’t mean you just create profiles on these platforms and start posting anything thinking that this will help you to gather the attention. 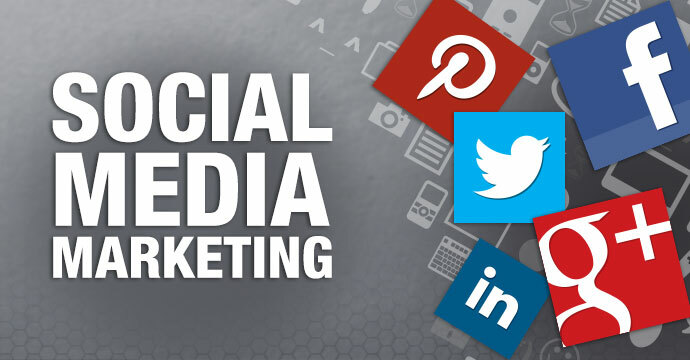 No, it’s not like that, as per the experts Social Media marketing requires planning and result-oriented strategies. In this article, I’m providing you top 5 Social Media Marketing Strategies that will help you to engaged with your customers. This is the most important factor if you’re planning to do Social Media Marketing for your Startup, Business or for any new product. Always link your Social Media profiles to your website, this will help you get the new traffic on your website. You can do this by adding Social Media buttons on your website or by sharing the content. Keep your content updated on the website and have an easy to share buttons. After creating the profiles on social media platforms, you’ll need to evaluate the nature of the content that you’ll be posting. You need to figure out the tone, voice and the message of your new product or service as these features will help you to make a good connection with your target audience. After all these research and plans, you’ll be able to find out who your customers truly are and what type of content they like. As per the recent study conducted by the various Influencer Marketplace that companies or Business owners are making 5.50 $ for every 1 $ spent on Influencers. Nowadays Influencer Marketing is the modern Business strategy for every kind of Business. For startups social media marketing is tough, influencers will spread your brand or services and link your social media profiles will make things easier. As per the recent research messaging apps are becoming more popular than social media apps. Most businesses are launching ChatBot service. Social Media apps are also popular among customers. Most of the companies utilize Facebook Messenger app for client services. Business owners use this platform for selling their products. Recently, Instagram launched its new feature called Instagram Shopping that can help you to reach more customers. Customers are also liking this feature as they can find their favorite product easily. You can also highlight your best products to get the attention from the visitor.